Fun fact: If a criminal defendant does not have enough money to make bail, a gun is an acceptable bond as collateral. But how is bail different from a bond? As much as these terms are related, they are not used interchangeably, and they do have differences, however subtle they may be. The term bail refers to the amount a defendant has to pay to secure his temporary freedom. The bail the defendant pays thus serves as insurance that he will attend his trial at the time and date specified. The person who actually pays or “posts” the bail may be the defendant’s spouse, family members, or even a best friend. If the criminal defendant does not appear in court or flees, the bail is forfeited and will not be refunded. Offenders regarded as too dangerous to be allowed to be released from police custody are denied the opportunity to post bail. American business tycoon Michael Milken, who was charged with insider trading, paid the highest bail on record which was set at $250 million. In ordinary circumstances, however, the US Constitution protects citizens from paying excessive bail. A bond is set up in situations when a defendant does not have enough money to pay the bail. The defendant then has to make a loan from a bail bonds company to generate the needed funds. Given that the loan is high risk, the defendant usually puts up a big ticket item (e.g. car, house) as collateral. 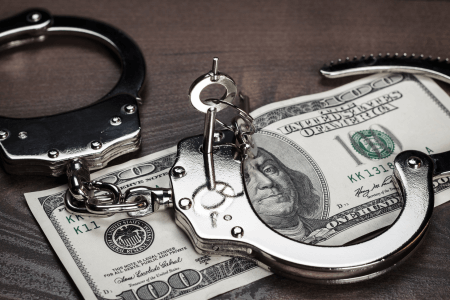 In most cases, a defendant is required to pay at least 10% of the bail up front. A bail bondsman then pays a portion of the bail amount. Should the defendant fail to show up in court or jumps bail, it is the bondsman’s responsibility to pay the rest of the bail. In some states, defendants are allowed to post their property bond, allowing them to not use a bail bond company. There is such a thing as a “signature bond” where a defendant writes a promissory note stating that if he fails to show up in court, he pays the court an agreed upon amount. This is usually applied to low-level offenders who most likely won’t run away. So what’s the difference between bail and a bond? There are a few factors where these terms are different. Bail is a certain amount of money a criminal defendant has to pay to be temporarily released from police custody. The person who pays the bail may be a spouse, a family member, or even a friend. A bond, on the other hand, is set up for defendants who don’t have the money to post bail. Instead, the defendant loans the amount (with collateral) from a bail bond company who in turn pays part of the bail amount. The spouse, family members, or a close friend may post bail on behalf of the defendant. 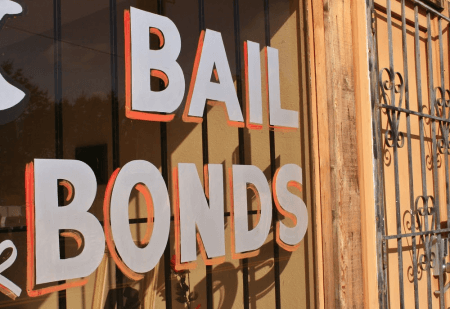 In most cases, a bail bond company pays a portion of the bail amount and subsequently pays off the remainder if the defendant runs off or does not attend court. On the other hand, the money is forfeited and will no longer be refunded if the defendant was able to post bail.